Earlier this week, the Times reported that the International Criminal Court (ICC) will likely issue an arrest warrant for Sudan president Omar al-Bashir. This would be the first such warrant for a sitting head of state. ‘In an unusual statement on Monday, the three pretrial judges on the court said they were giving the date in view of “numerous rumors over the past weeks on a possible date and outcome of the decision.” They gave no further details. ‘Court officials and diplomats had told The New York Times this month that a panel of judges had agreed on the arrest warrant in private sessions in January. 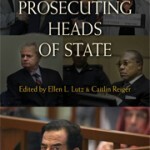 I’ve asked editor of Prosecuting Heads of State Ellen Lutz for some comments; stay tuned!